Nestled in Northern Italy, on the border of Lombardy and Veneto, Lake Garda is Italy's largest lake. Often overshadowed by Como, its more famous neighbour, the Lake Garda is one of Italy's best getaways. 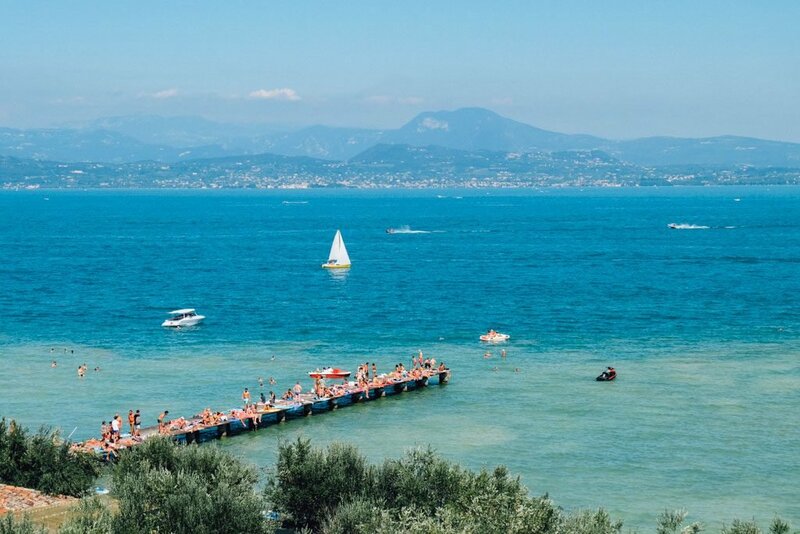 With everything from charming waterfront castles and natural hot springs in Sirmione to hiking the Gruppo del Baldo foothills, Lake Garda has activities to please both luxury seekers and outdoor escapists. With its mild climate and fertile soil, the land along Lake Garda is ideal for vineyards and produces many of Italy's most sought after white and red wines. The most famous is the red Bardolino variety from the Eastern shore. Schedule a tour of the cellars, or simply sit back at a waterfront bar and enjoy the landscape with a glass of local vino in hand. 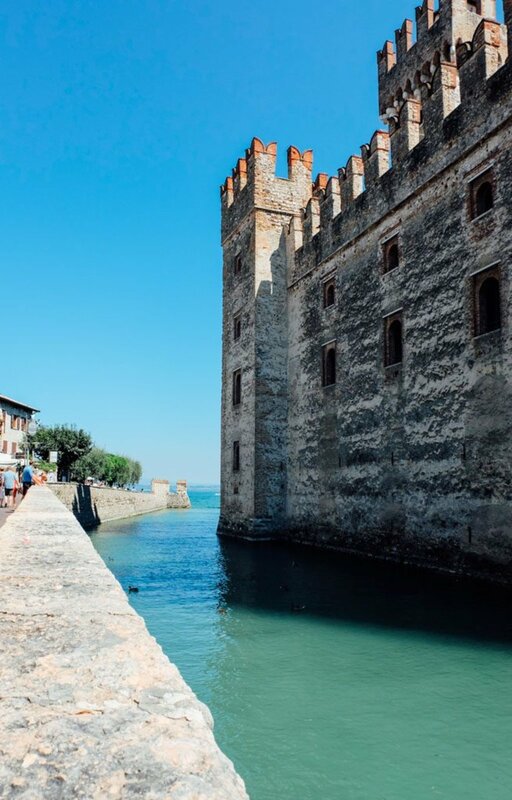 The charming lakeside town of Sirmione has been a popular destination for the last 2,000 years thanks in part to its lovely lakeside location complete with waterside castles, but also because of the natural hot springs found at the water's edge. The sulphur springs are said to have curative properties so slip into the warm water and let it work its magic. The natural spas can be easily booked for a day of relaxation. Take a ferry between lakeside towns, charter a private boat to tour the lake or even rent kayaks for the day. The best way to explore Lake Garda's villages is by water, rather than by road. 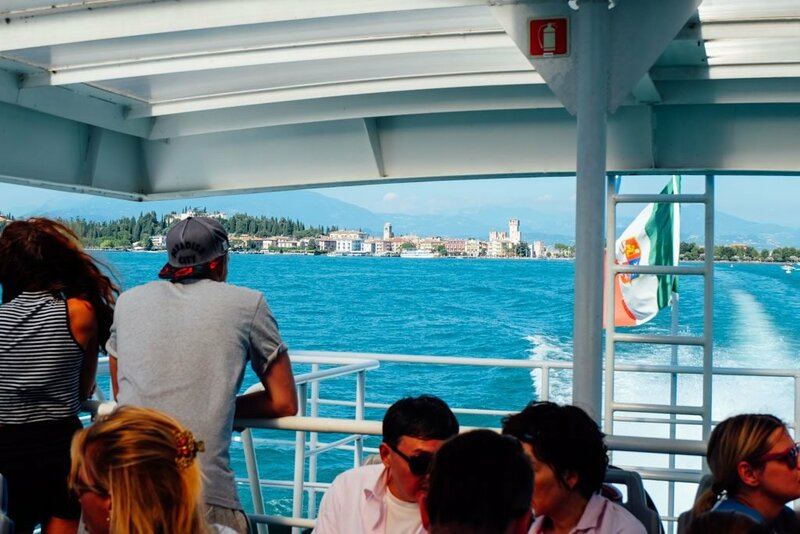 Ferries run regularly between the small Italian towns that dot the lake and offer a completely different vantage point to enjoy the stunning scenery for just a few euro. Opt for a private boat in order to spend the morning on the water before taking a plunge into the cool center of the lake. 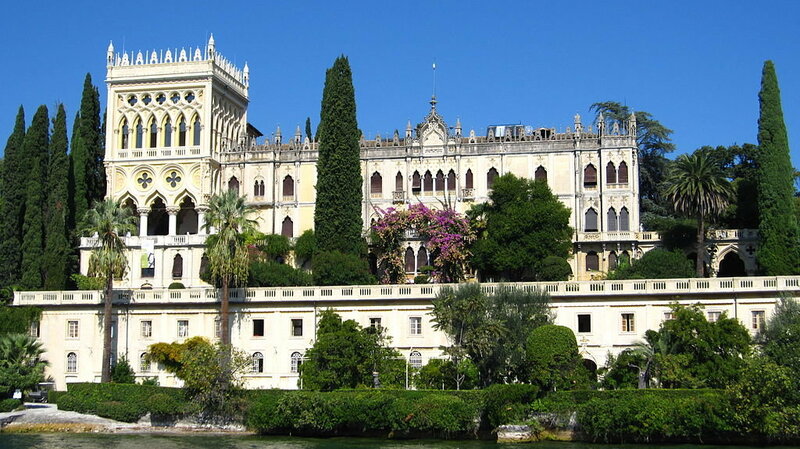 Lake Garda is sprinkled with lovely towns, but the most exclusive spot on the lake is the private island of Isola del Garda. The Venetian style mansion dominates the land owned by Lady Charlotte Cavazza. Though the family still live on the island, the home and gardens are open for private tours from April to October, and offer a small taste of life as Italian nobility. The pre-Alpine foothills that surround Lake Garda are full of forests and trails for the lovers of the outdoors. The microclimate created by the mountain ranges ensure that the weather is splendidly Mediterranean even at the northern latitude. For beginners, short hikes are available in the rolling hills at the south end of the lake. More experienced outdoorsman can head north to scale serious peaks that rise 2000 m above sea level. No sportiness is technically required to enjoy the mountain views. If you would rather pass on the hike, buy a ticket on Malcesine's Monte Baldo cable car. The cable car climbs 1780 m above sea level, with the last leg slowly rotating 360 degrees to give unobstructed views in every direction. Ready to get away? These Lake Garda Hotels are the perfect spot to stay while you explore the beautiful towns and unspoiled nature trails.